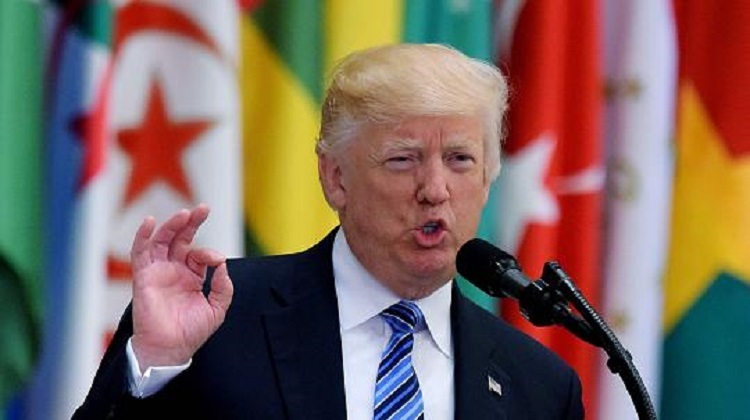 Donald Trump has met on Sunday in the Saudi capital Riyadh to a summit meeting with leaders of Islamic states. In the afternoon, Trump held his keynote speech on Islam. 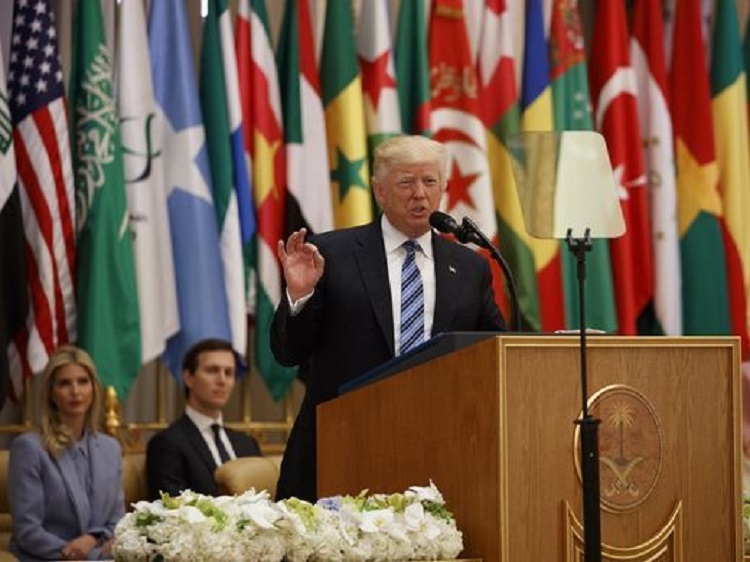 “I am honored to have been received by such generous hosts,” Trump thanked King Salman. “Your father would be very proud to revive the cooperation with the United States.” To the participants of the summit, Trump expressed “warm greetings” to the American people, bringing a message full of “hope and love”. In the run-up to the US election, Trump had strongly criticized Islam and wanted to get an entry ban for Muslims from six nations. “We pray that we will remember this special meeting here as the beginning of peace in the Islamic world.” To fight terrorism is the declared goal of the American government – attacks like in Boston or San Bernadino would have to be prevented. The number of terrorists will continue to increase, said Trump. It was not a battle between different religions or civilizations. “This is a battle between barbarian criminals who want to eradicate human life and decent people of all religions who want to protect it.” Terrorism should not be tolerated or accepted. The summit with “wonderful friends and allies” marked Trump as historic: “This is a very exciting time.” At the meetings with the Saudi Arabian King Salman, billions of investments were decided, by which “hundreds, thousands of jobs in the USA and in Saudi Arabia are to arise. Iran and Syria were not invited to the meetings. Both countries do not belong to an Islamic military alliance that leads Saudi Arabia in the fight against terror. According to Saudi Arabia, representatives of more than 50 Islamic countries are taking part in the summit. The King of Saudi Arabia also described Trump as a friend in his welcome speech. “We thank him for his hopes in collaboration with the Muslim world and for his visit,” said King Salman. The Kingdom is considered the most influential center of the Islamic world. Every year, millions of Muslims visit the sacred sites of Mecca and Medina. Although the Saudi Arabian government emphasizes the friendly aspect of Trumps’ visit, critics clearly focus on strategic interests.